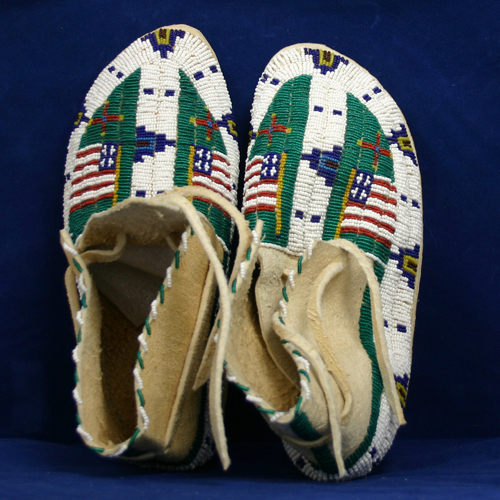 These moccasins seem to have never been worn. 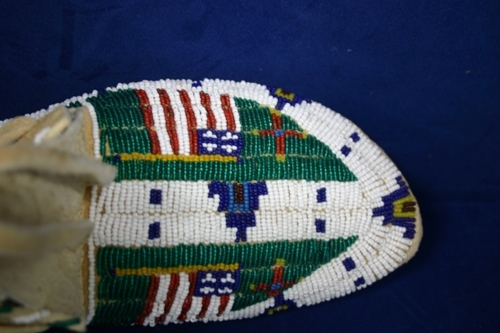 The leather is mint and the beadwork is excellent, includes American flags. I believe they are stitched with sinew. It is my best guess that these are Sioux.